At Singapore's Jurong Bird Park, a stylish baby flamingo loves to flaunt his shiny blue boots. Squish, a baby greater flamingo, was born from an abandoned egg a few months ago. Now, he struts around the park in his custom-made shoes, specially made to protect his feet from the hot ground. 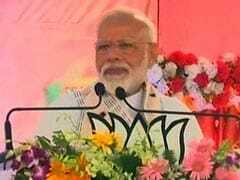 According to ABC News, experts say that the boots will help prevent his feet from getting calluses, which could get infected and delay his release into the wild. 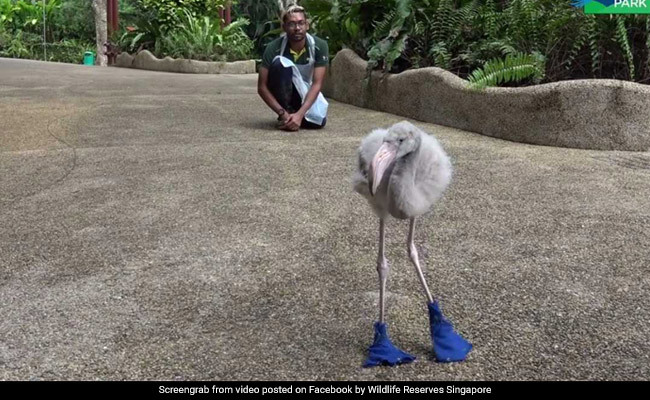 According to Wildlife Reserves Singapore, the owner of Jurong Bird Park, Squish wears his fancy shoes during his daily exercise. "Squish loves flaunting those shiny blue shoes! This adorable ball of grey has been the subject of much love and pampering - human carers even custom made Squish a fancy pair of shoes for his daily exercise," they write on Facebook. 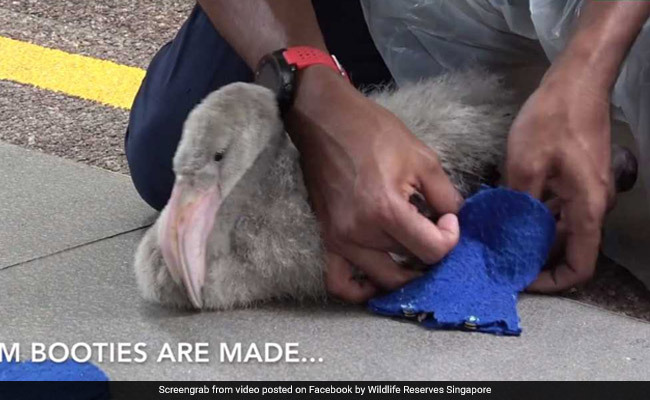 "When his feet are strong enough, we will send him back into the flock, and hopefully, he will be able to integrate with them," says Gerard Wan, Jurong Bird Park's animal care officer, according to ABC News.